Slack brings team communication and collaboration into one place so you can get more work done, whether you belong to a large enterprise or a small business. Tick off your to-do list and make progress on your projects by bringing the right people, conversations, tools and information you need together. Slack is available on any device, so you can find and access your team and your work whether you’re at your desk or on the go. Scientifically proven (or at least rumoured) to make your working life simpler, more pleasant and more productive. We hope you’ll give Slack a try. • Olá, hola and nice to see you (to see you nice). 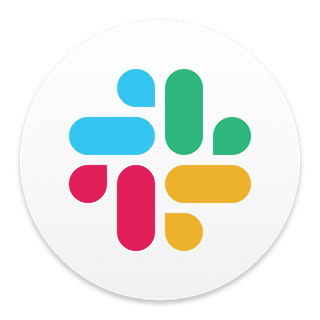 From today, Slack supports three new languages: Brazilian Portuguese, Latin American Spanish and UK English. You can change this in the settings menu under, not unexpectedly, “Language”. Jolly good! Carry on, everyone. The entire experience is very smooth. Sometimes loading a channel takes a while, but that may have more to do with connection speed than with the app itself. But the late ringing for past calls when you unlock your phone is still super annoying.